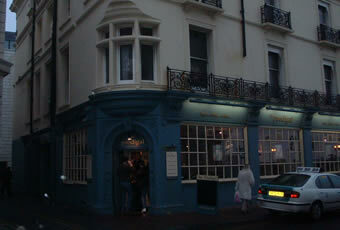 A pub I persevered with in my early Brighton drinking but one I tend to strategically avoid nowadays. There's nothing hugely objectionable about the Prodigal but neither is there anything particularly commendable, other than it's easy to find (a reason why I may have ended up there in the past). 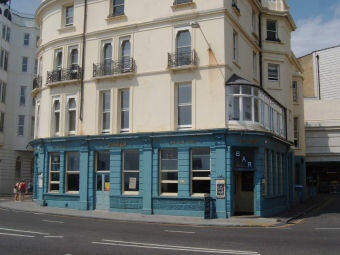 It's just devoid of any significant character and only seems to serve as a place for groups of smartly dressed people to get tanked up before moving on elsewhere. Why bother? Easy to get lost in especially if half cut. I dont have any objections to this pub. The only thing that lets it down is the clientele, although a month ago I saw it was being refurbished so the name may have changed by now. You usually get a good deal on drinks but you get a lot of hen/stag parties in there and it can get a bit rowdy. Good to get a few cheap drinks in and then move on somewhere else I reckon. Huge and soulless, no atmosphere at the best of times but if your unlucky and catch a couple of stag nights / hen parties down from London for the night or worse, the weekend, this could be your idea of hell. Horrible bar full of stag night crowds, and the only pub I've been in for years where I've seen the drip trays emptied into buckets rather than down the drains. Well worth a miss.